From time to time during my travels, I come across signs that I find interesting for one reason or another. Sometimes, they contain clever writing, are humorous, or remind me of some place or event. Here are some from trips to Vienna, Austria, and Seoul, Korea. It certainly was a surprise to see this sign in Vienna, Austria, especially when Australia really doesn't have any distinctive food. 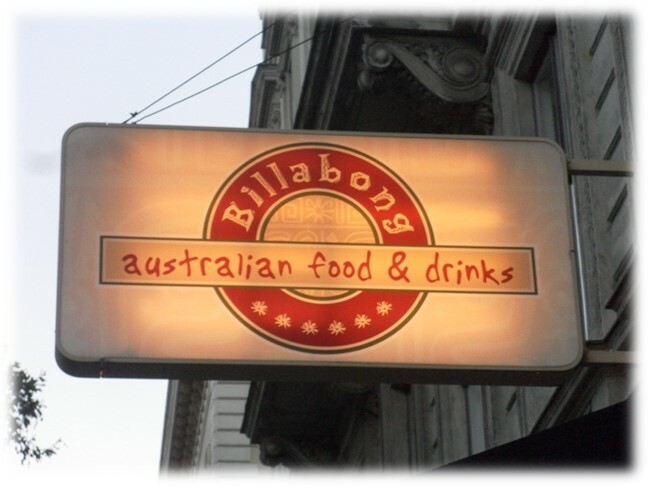 For an explanation of the word billabong, click here. 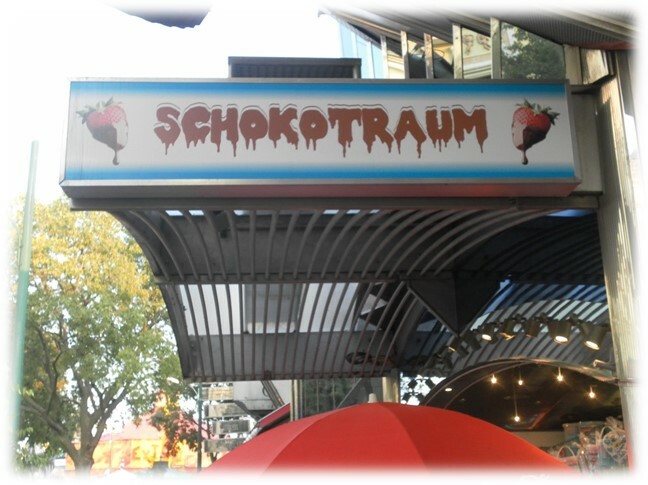 Come have a chocolate dream in this amusement park in Vienna. 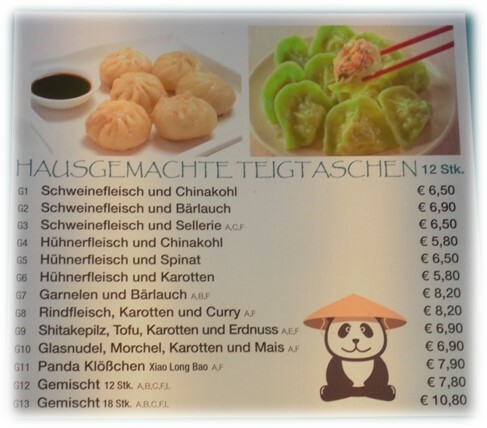 A Chinese-restaurant menu in German! Why not? This place (at which I ate) specialized in dumplings (teigtaschen literally is dough bags). Home-made (hausegemachte) dumplings, indeed! Ok, here's a place to get your shoes repaired and your keys cut. What struck me as odd was the use of the German word for service, dienst, in the context of keys, yet the English word service for shoes. Sign on a prefabricated public toilet building in Vienna. No dogs inside, don't leave any trash (I think), don't leave any drug paraphernalia, and no vandalism. In a public park in downtown Vienna. 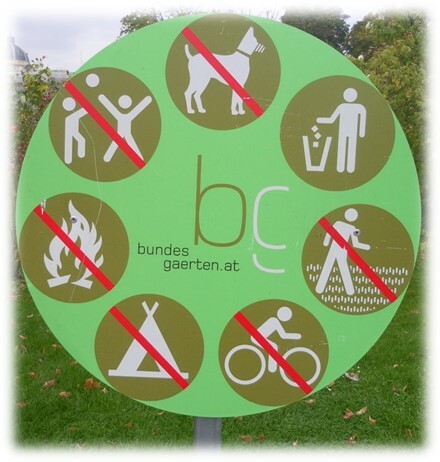 I was especially interested in the "No Camping" and "No fires", until I thought about the possibility of homeless people trying to live there. That said, the park was walled and had gates that were locked after hours. 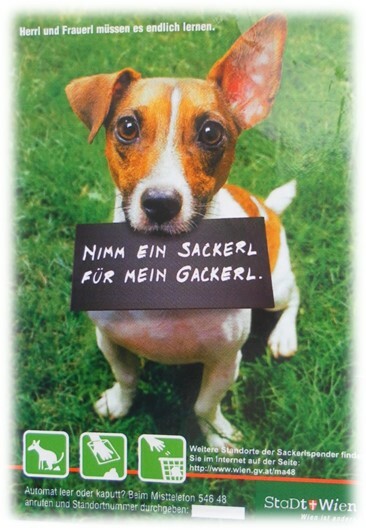 Please put my poop in a bag! 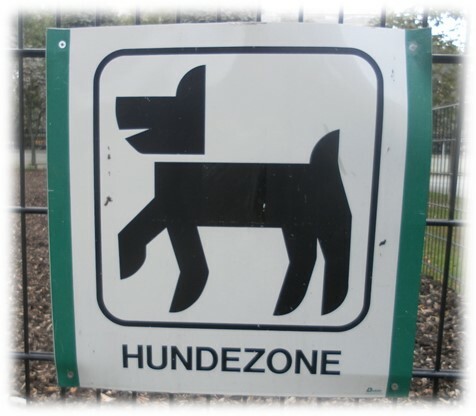 A fenced-off area in Vienna inside which dogs may run free while their owners sit, chat, read, or find dates. 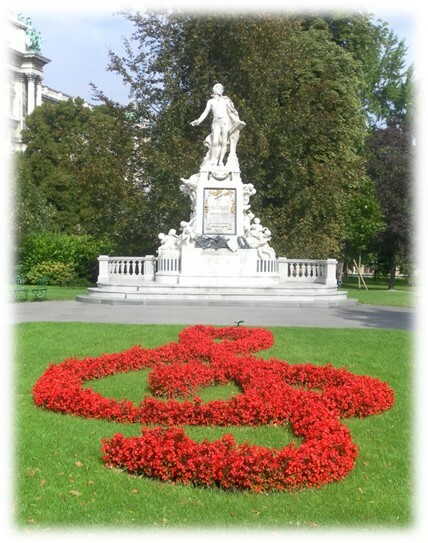 Most people looking at this "very pretty flower garden" in front of a statue of Mozart failed to see the treble clef note pattern until I pointed it out to them. A sign in the window of a Viennese restaurant. An interesting combination of offerings. On the verandah of a Buddhist temple in Seoul, Korea. As for the microphone, my guess is that was to prohibit tour groups whose leader used one to explain things to his/her group. At one entrance to a Buddhist temple. 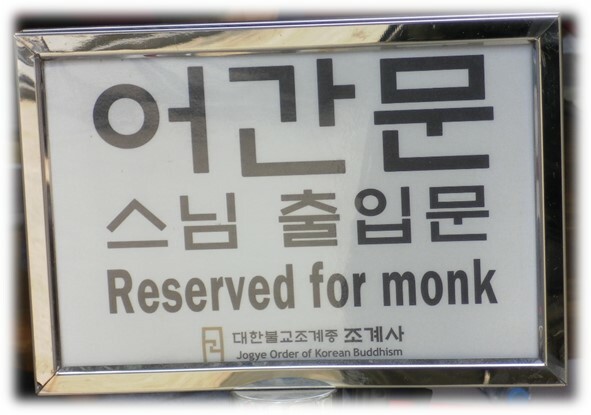 While touring Seoul, Korea, I came across a most interesting place for a light lunch. It mostly served a wide variety of drinks with a little food on the side. 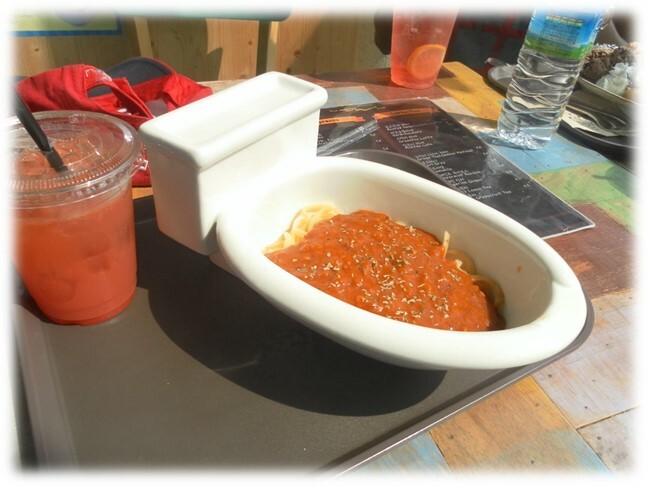 I had a bowl of spaghetti with beef bits and tomato sauce along with a cup of grapefruit lemonade. 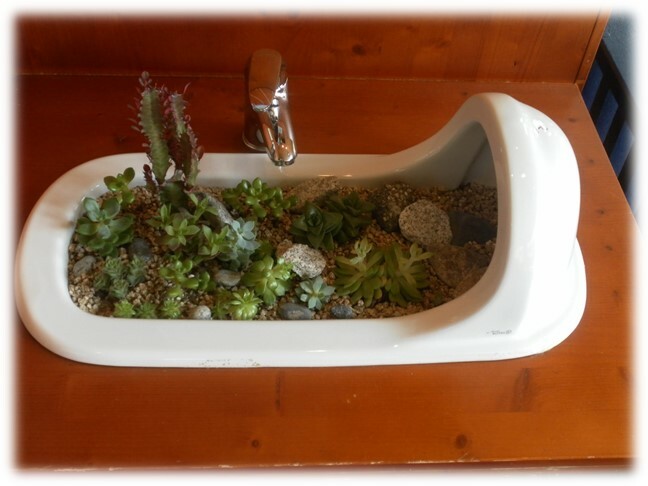 Now when I say bowl, I mean toilet bowl! Yes, Dear Reader, the serving dishes (and coffee mugs) were china in the shape of a toilet bowl, not something you see every day. And in the same restaurant, a urinal used as a flower pot. 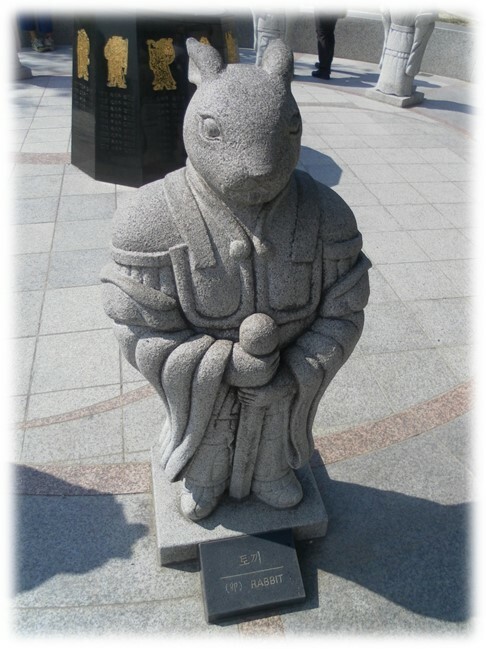 One of a set of 12 statues of the Chinese signs of the Zodiac, as used in Korea: Rat, Ox, Tiger, Rabbit, Dragon, Snake, Horse, Goat, Monkey, Rooster, Dog, and Pig. Thanks for sharing the fun photos!